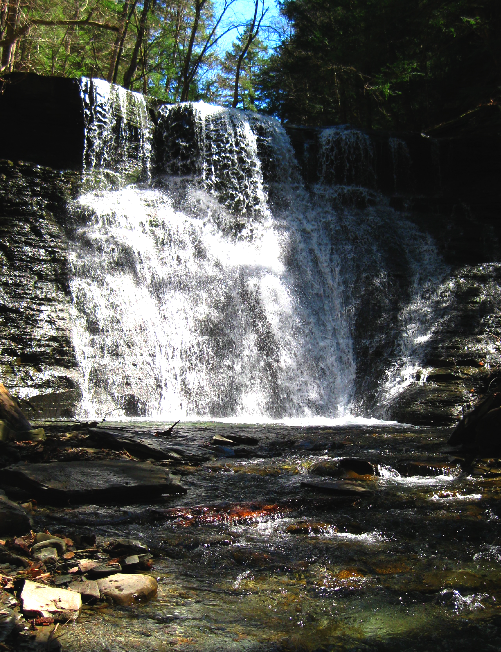 Hemlock-Canadice State Forest — 6,684 acres, many of them covered with creeks flowing down into our water supply. 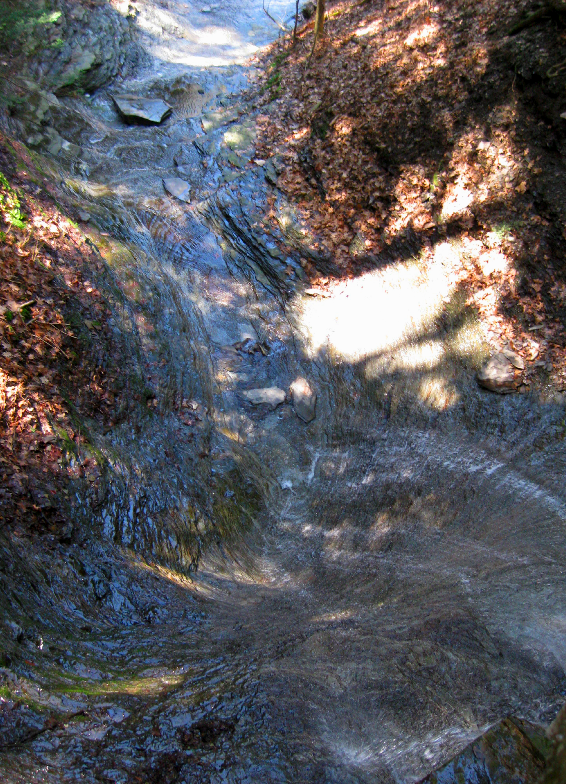 The 15A access to Reynolds Gully has smaller falls the trail is short and easy. 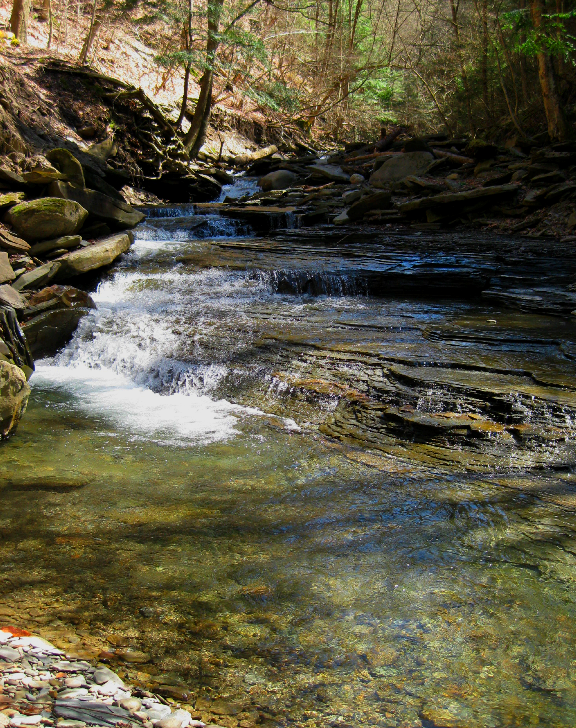 Hiking creek beds to get the best possible view of several nice waterfalls off the beaten path. 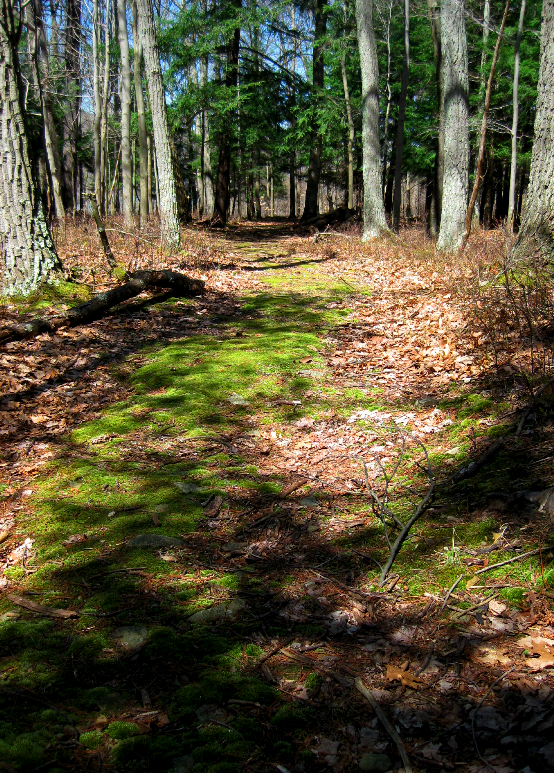 Johnson HIll Trail is easy to follow, carpeted in moss early spring. 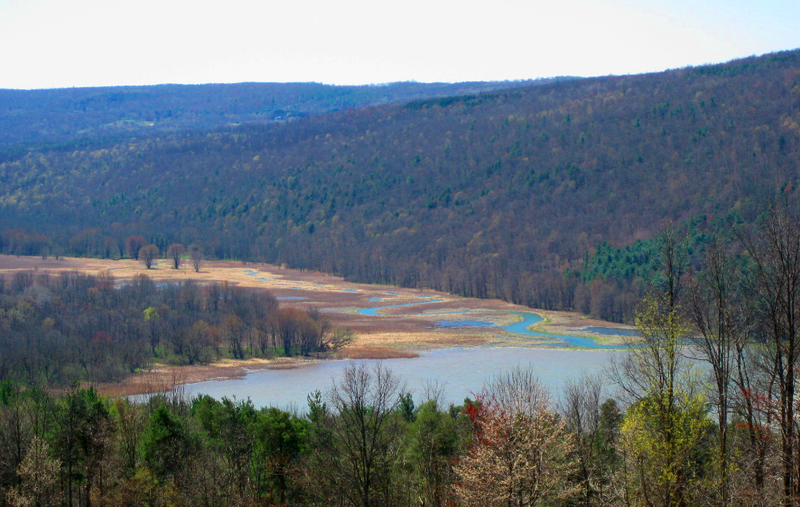 I hiked the Johnson Hill Trail, accessed via Johnson Hill Rd, off Bald hill Rd, just off Rt 15A, at the southern end of Hemlock Lake. 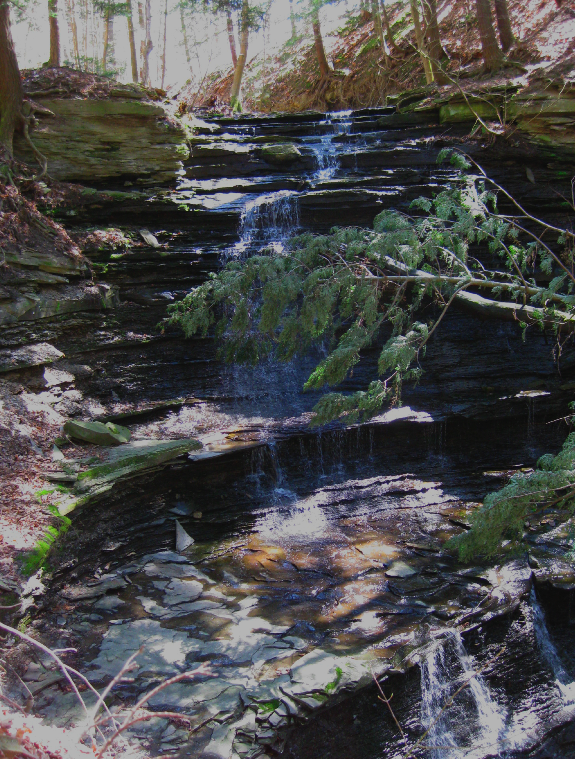 This one is off state land, but I used a special lens to get close. 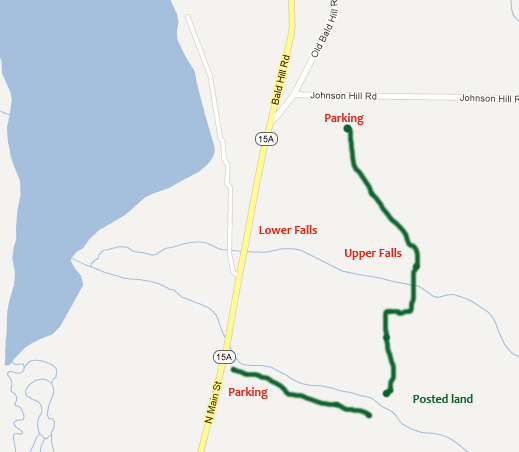 There are parking lots on 15A, which lead into Reynolds Gully and another one on Johnson Hill Road with a nice 1.5m trail. 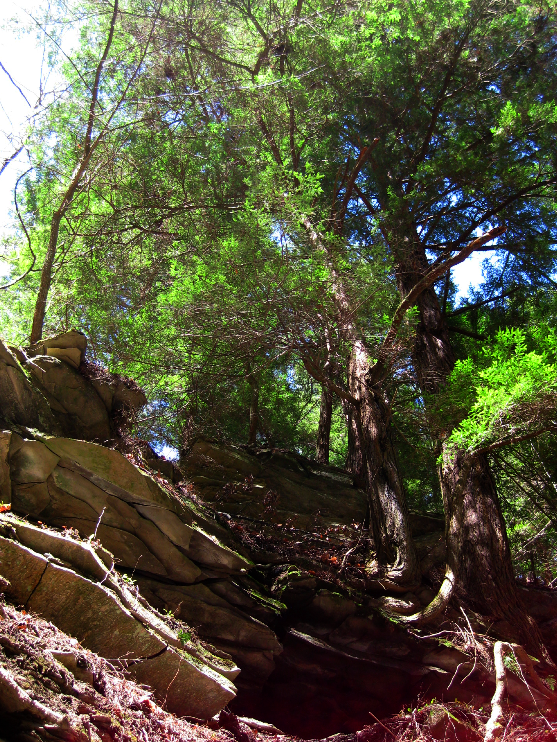 Entry filed under: Canadice Lake, Hemlock Lake, Hiking, New York, Trails, Uncategorized, Waterfalls. 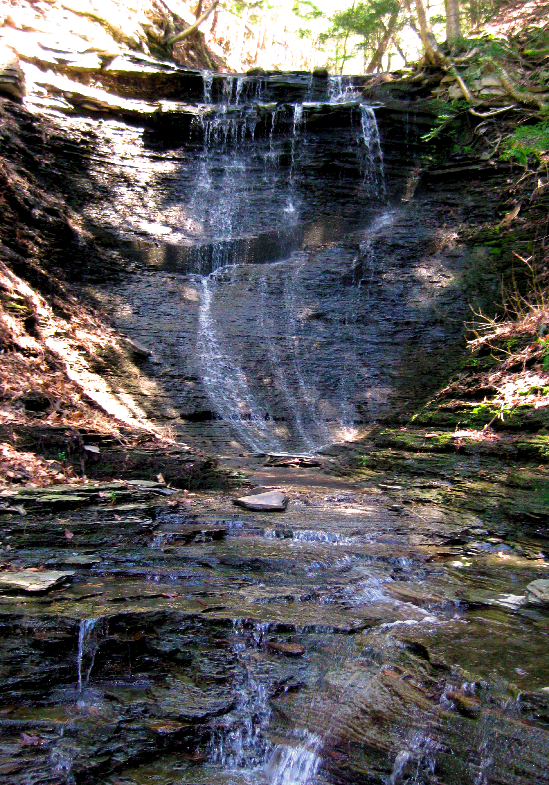 Tags: Canadice Lake, Cross-country skiing, finger lakes, Hemlock lake, Hiking, New York, upstate new york, Waterfalls.